Combine rolls into a ball. Roll into a 13-inch circle and place on a 12-inch sprayed pizza pan. Turn up the edges of the dough to form a ridge. Poke several times with a fork to prevent bubbles from forming. Bake at 400 degrees F 5 minutes. 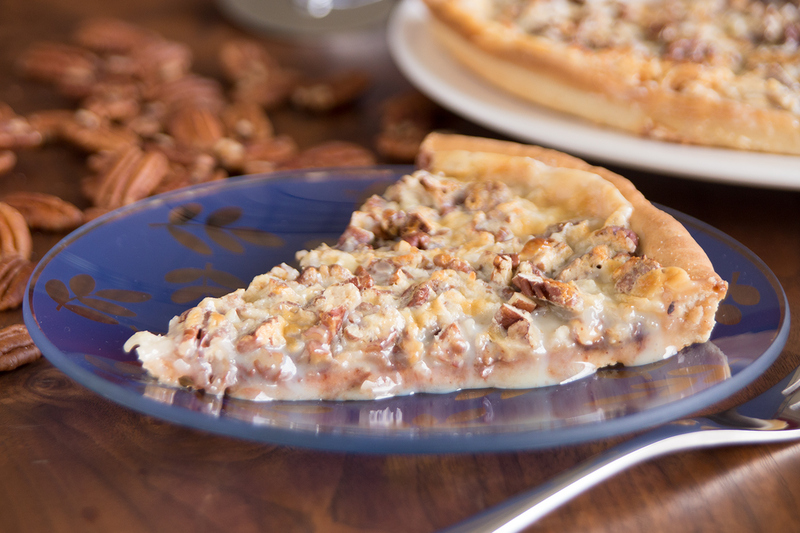 Layer pre-baked crust with chocolate chips, coconut, and pecans. Drizzle with condensed milk.